The Museum of the RCMI is pleased to announce the the First Annual RCMI Military History Symposium on 13 October 2017. 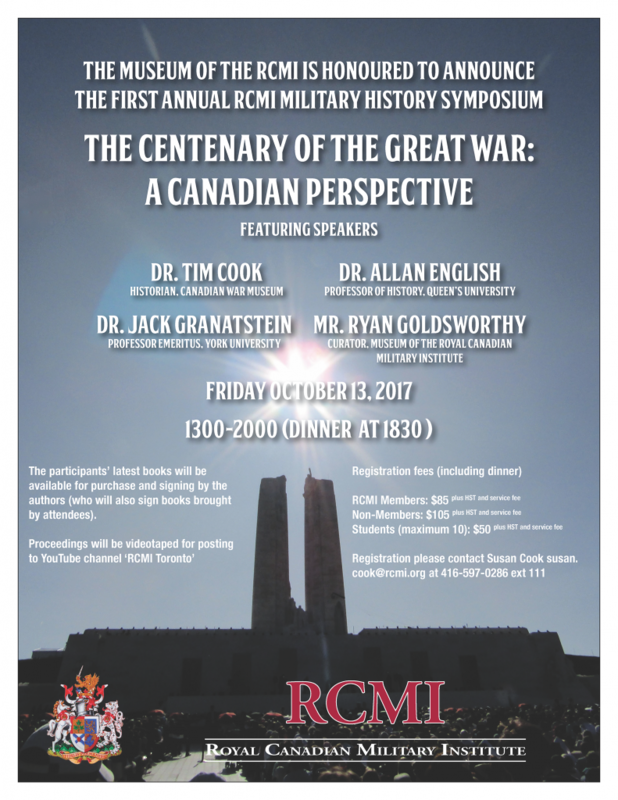 Join Dr. Tim Cook, Dr. Allan English, Dr. Jack Granatstein and Mr. Ryan Goldsworthy as they discuss “The Centenary of the Great War: A Canadian Perspective” at the Royal Canadian Military Institute in Toronto. See poster below for registration details.